Congratulations to Lorna Dupré who swept to by-election victory in Sutton. 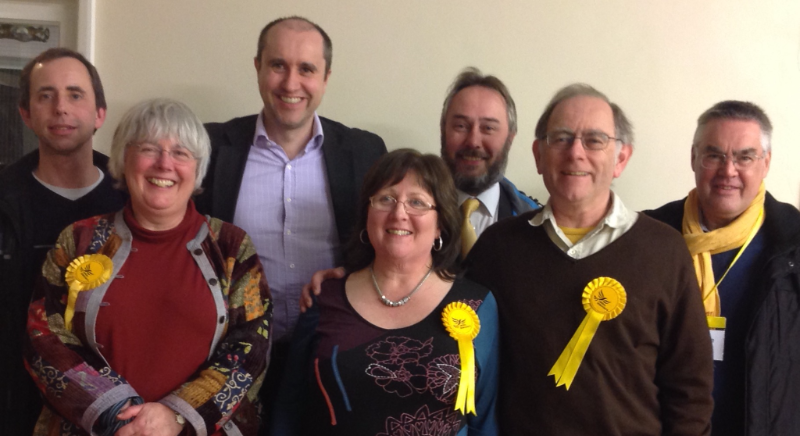 Victory for the Liberal Democrats in Cambridgeshire this week, as Lorna Dupre swept to a by-election win in Sutton. Lorna defeated the Conservative candidate by a margin of 412 votes, the Lib Dems increasing their share of the vote by almost 20%. The Liberal Democrats have consolidated their position as the second largest group at the County Council. And its not just in Cambridgeshire... in by-elections this year the Lib Dems are the only party to have increased their average share of the vote (+4.29%). Just compare the Lib Dems with Ukip in this graph from 'Britain Elects'.